We are offering Corrosion Inhibitor to our client. 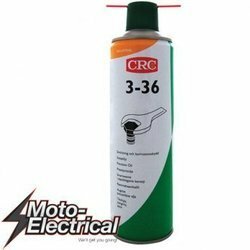 To furnish the diverse requirements of our clients in the best possible manner we are involved in offering an extensive range of Corrosion Inhibitor. BWA's Belclene® and Belcor® corrosion control products provide several options to develop either all organic or low level zinc formulations to meet the technical and environmental needs of the market. RustProof - DW 916 (For Inhouse Stotage): This is soft film, solvent deposited, water-displacing type, temporary corrosion preventive oil. The oil gives a greasy type of film (4-5 micron), which can withstand moderate handling. It gives excellent protection for the components to be stored in-house. Our firm is offering Seawater Corrosion Inhibitor. Our products are widely used in the market due to their longer shelf life and accurate composition. This is soft film, solvent deposited, water-displacing type, temporary corrosion preventive oil. The oil gives a greasy type of film (4-5 micron), which can withstand moderate handling. It gives excellent protection for the components to be stored in-house. 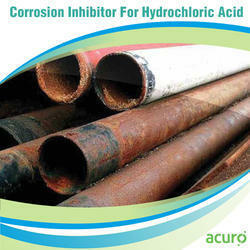 A corrosion inhibitor is a chemical compound that, when added to a fluid or gas, decreases the corrosion rate of a metal or an alloy.The effectiveness, or corrosion inhibition efficiency, of a corrosion inhibitor is a function of many factors like: fluid composition, quantity of water, flow regime. With the continuous support and sincere efforts put by our experienced professionals, we have been able to provide our clients a qualitative grade of Corrosion Inhibitor.